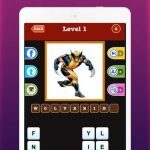 HeyNau’s new trivia game Mega Quiz Gaming 2K17 is available for Android and iOS players, and this is a game where you have to guess more than 250 video games that have been trending in the past decade. Fans of old-school games who aren’t too familiar with this decade’s video game releases may want to pass on this one, as there are no games included here that were released before 2010, and the answers include several titles that were released just this year. But if you’re a true modern gamer, or even someone who’s a casual gamer more familiar with this decade’s titles than older ones, you can go check this title out and guess the names of games, which include the games certain characters, weapons, common enemies, etc. appeared in. Then again, you can still play this game if your knowledge of modern gaming is rather limited. 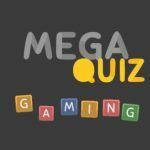 And if there are answers that have gotten you stumped, you’ll want to check our list of Mega Quiz Gaming 2K17 answers and solutions, as we’ve been able to complete the first 50 levels of the game across different categories. Are you up to the challenge? We hope you are, but we would advise you as well to use this answer key sparingly, so that you don’t inadvertently spoil that challenge. 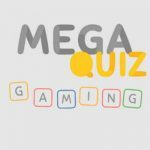 UPDATE: If you need the complete list of answers for Mega Quiz Gaming 2K18, then check out this article! Arms, Inazuma Eleven, The Walking Dead, Dis-Honored, Gravity Rush, Shovel Knight, Super Meat Boy, Tekken, Grand Theft Auto, Inside, Fez, Binding Of Isaac, Simsimi, God of War, Happy Wheels, Monkey Island, Dragon Ball Xenoverse, Halo, Little Big Planet, The Last Of Us, Mass Effect. Yandere Simulator, Angry Birds, Professor Layton, Pokemon Sun, Mortal Kombat X, Hey!Pikmin, Resident Evil, Jak And Daxter, Tearaway. The Last Of Us, Dead Space, Best Fiends, Kirby Planet Robobot, Saints Row, Mad Max, Five Nights At Freddys, Pacman. Wakfu, Castle Crashers, Gravity Rush, Slime Rancher, Super Hot, Tibia, Paper Mario, Ark Survival Evolved, Battle Block Theater, Minecraft, Kingdom Hearts, Counter Strike, Dragon Quest, World Of Warcraft, Halo, Braid, Rayman Origins, Stranded Deep, We Happy Few, Sunset Overdrive, Agar Io, Attack On Titan. Nintendo, Play Station, Xbox, Square Enix, Rovio, Halo, Dota, Overwatch, League Of Legends, Planet Coaster, Rareware, Atari, Team Fortress, Starbound, Rocket League, Wwe, Slither Io, Steam, Counter Strike, Hearth Stone, Origin, World Of Warcraft, Geometry Dash, Rockstar, War Thunder, Dragon Age, Clash Of Clans, Gran Turismo, Uplay, Destiny. Yoshi Woolly World, Cut The Rope, Trove, Jak And Daxter, Portal, Mario Kart, Candy Crush, Fallout, Where Is My Water, Super Smash Bros., Alice Madness Returns, Crash Bandicoot, Super Mario Sunshine, Far Cry, Nuclear Throne, Bit Trip Runner, Broforce, Pokemon Go, Zelda Breath of the Wild, Sonic, Guitar Hero, Rayman Legends, Transfor Mice, Dragon Ball Xenoverse, Binding Of Isaac, Left 4 Dead 2, Minecraft, Slender, Speed Runners, Slime Rancher. Metroid Prime, Mighty No 9, Uncharted, Ben And Ed, Assassins Creed, Unity, Shantae, Trine, Randals Monday, Just Cause, Bayonetta, Cubeworld, Heavy Rain, Hyper Light Drifter, Watch Dogs, Unravel, Sword Art Online, Rise Of The Tomb Raider, Tran-sistor, Raving Rabbids, Flappy Bird, Minecraft Story Mode, Beyond Two Souls, Bastion, 60 Seconds, Rime, Infamous Second Son, Metal Gear Solid, Undertale, Life Is Strange, Street Fighter. Half Life, Sword Art Online, Lego Star Wars, Soul Calibur, Tomb Raider, PVZ Garden Warfare, Guilty Gear, Zelda Skyward Sword, Kid Icarus, Starbound, Dead Space, Assassins Creed, Shovel Knight, Epic Mickey, God Of War, Brawlhall A, Minecraft, CS Global Offensive, Attack On Titan, Final Fantasy, Gears Of War, Portal, Kirby, League Of Legends, Worms WMD, Rust, Kingdom Hearts, Splatoon, Blood-Borne, Call Of Duty.